The Military Writers Society of America gathered in Charleston, South Carolina November 8–11, 2018 for their annual conference and awards banquet. I was honored to learn 'Marcel's Letters' was awarded a gold medal in the Memoir/Biography category. Members of The Military Writers Society of America gathered in Charleston, South Carolina November 8–11, 2018 for their annual conference and awards banquet. I wasn’t able to attend, as I had a previously scheduled book presentation. But it would have been a delight to be there. 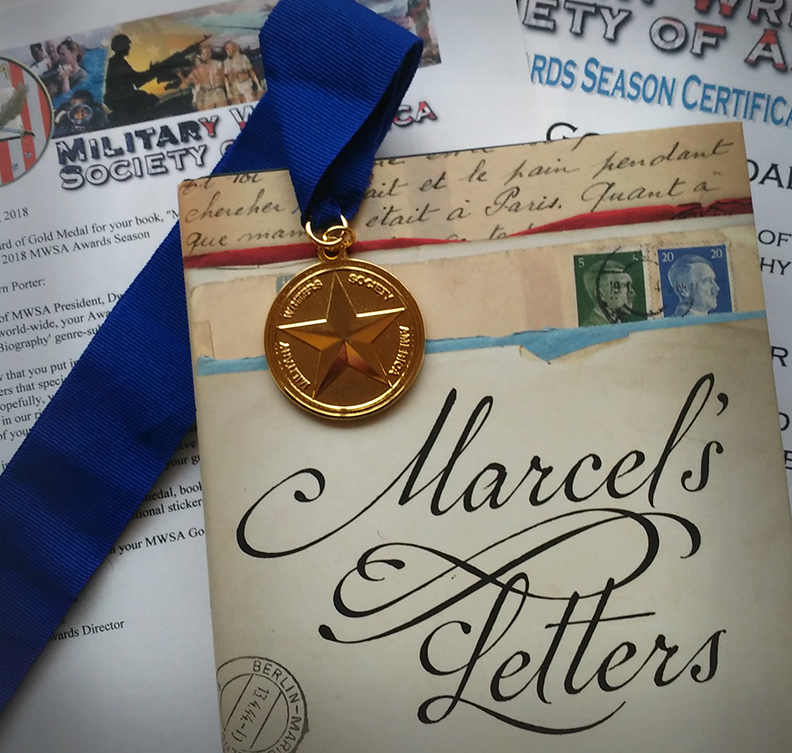 I was honored to learn Marcel’s Letters was awarded a gold medal in the Memoir/Biography category (a second gold was awarded to Racing Back to Vietnam, A Journey in War and Peace by John Pendergrass). Medals are awarded each year based on the combined average of the numerical scores of the three reviewers assigned to each book. Because books are scored against our standard—and not against each other—we often award more than one of the same medal in each genre. The full list of 2018 winners can be seen here. The Military Writers Society of America is a nationwide association of authors, poets, and artists, drawn together by the common bond of military service. Most of our members are active duty military, retirees, or military veterans. A few are lifelong civilians who have chosen to honor our military through their writings or their art. Our only core principle is a love of the men and women who defend this nation, and a deeply personal understanding of their sacrifice and dedication. Members’ skills are varied. Some are world class writers, with many successful books. Others write only for the eyes of friends and families. You can read The Military Writers Society of America’s review of Marcel’s Letters here.